Financial leverage is a fancy term for borrowing money to expand or fund a business. The key advantage in borrowing funds in a business is that if profitability increases, the shareholders earn a higher return than if they fund it themselves. Usually, borrowing funds is easier for a steady cashflow business looking to expand. Shareholders prefer it since there is no call on their cash and the expanded profits enhance their return. I’ll use a simple example to illustrate this higher return to shareholders by borrowing funds. Say a company has existing equity of £5m with 5 million shares originally issues at £1 each. It produces net profits after tax of £500,000, which is a 10% return to shareholders. The company needs new premises with equipment costing £1m to double its output and double its net profits to £1m. If the shareholders are asked for the cash and invest a further £1m, then their return is 16.66% – net profits of £1m divided by the new equity total of £6m. If the company borrows the £1m from a bank at 5% interest, its net profits are £950,000 allowing for the annual interest costs of £50,000 on the loan. The equity has not changed so the return to shareholders is 19%, much higher than if they put in all the funds. Whether it’s a bank loan or leasing funds, the effect on shareholders’ returns is the same. This is why investors’ like to have some amount of debt alongside their equity even when funding startups, since this reduces their risk and increases their return. Of course, that’s if they can persuade a lender to lend money to a startup! There are some exceptional cases where that may happen. If that all sounds too good to be true, it is and borrowing always has added costs and dangers. Here are the key points to consider when borrowing. 2. Loan covenants maybe too onerous – usually interest payments will have to be covered by EBITDA, loan repayments by cash flows and the lender will also want collateral, which probably will be the premises and equipment in my example above. 3. There maybe restrictions in paying dividends to shareholders – lenders can put in restrictions so that their interest and loan is paid first before any dividends are paid out to shareholders. 4. 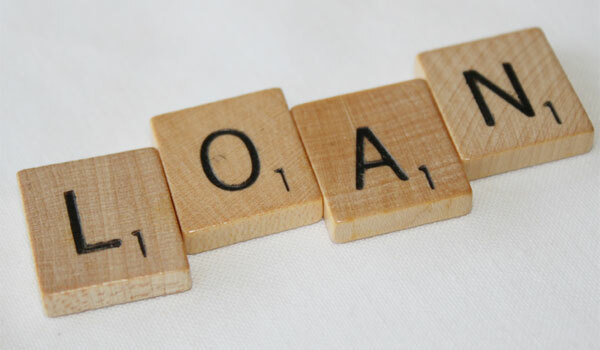 Danger of bankruptcy if the loan cannot be repaid – aggressive borrowing is unwise if the planned increased profits do not materialise or if there is an economic downturn reducing profits. 5. High leverage can prevent new shareholders – new investors’ will look at the debt to equity ratio and if they consider that it’s too high will not want to invest due to the dangers described in 4 above. A ratio of 50/50 is about right and if debt is lower, then the business is well placed to borrow more funds. Financial leverage is a powerful tool to gain an advantage in your business but be aware of the dangers of over borrowing especially if an economic downturn comes along.